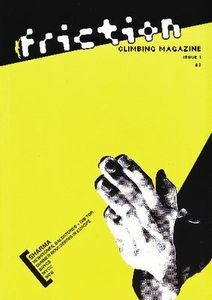 Friction Climbing Magazine is a new mag dedicated to climbing. It comes from Britain and ZeBloc received a copy of the first issue in which bouldering takes an important place. First thing I like is the size of the mag : as it is ‘A5′ formatted, it can fit nearly everywhere and you can take it anywhere. Second thing I like is the number and quality of the pics, may they be black and white or couloured. The fact is that they often come from weel-known climbing photographs. But let’s have a look at the content of the mag. After a first page on which you have a nice Sharma pic and the content, you already know that you have a good mag in your hands! Then, after a really short Editorial (well do you often read editorials in climbing mags? ), the News part of the mag is unusual : you won’t find there neverending tick-lists like what you have in other mags. You will just find a short article from Steve MClure concerning hard routes in Ravenstor and a Lisa Rands interesting interview after her repetition of the ‘End of the Affair’. An article related to Stafford shire gritstone areas (Newstones, Baldstones and Gib Tor) follows and the pics really rule! They are black and white pics from Tim Glasby. Then you enter one of the best Chris Sharma interview ever, again with great pics. Ok, it is hard to take bad pics in Ceüse, the Buttermilks or Smith Rocks, but in ten pages, you will learn a lot about this strong guy. After that comes an article dedicated to summer bouldering areas in Switzerland (Magic Wood), Italia (Val di Mello) and France (Tralenta) : these are short (2 pages) descriptions of these world-class bouldering areas. 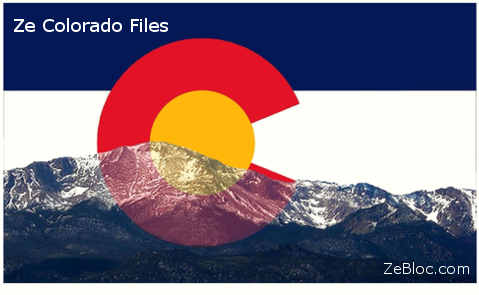 You will also find there short lists of boulders to be climbed and access informations. Again, full of nice pics even if such areas would have deserved more important articles. But may be that they will come in next issues? I won’t tell you long about what I find the main drawback of this issue : the last 30 % are dedicated to competitions. I do not find that interesting but it is just my point of view! The next issue will look at South Africa Rocklands, photo piece on Caley (yorkshire Dales), expanded news section, interviews with 3 top british youths, star interview and other stuff like competitions. Friction Climbing Magazine is just on sale in Great Britain but it will shortly be available in other countries. It costs 2 pounds and is a bi-monthly mag. Well, as a conclusion, ZeBloc really find this mag original and interesting. Partager la publication "Friction Climbing Magazine"